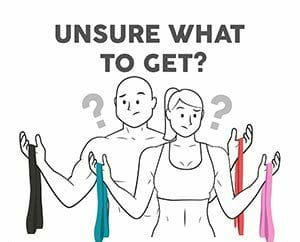 This handy training guide breaks down the RubberBanditz booty band training methodology so you get an in-depth understanding of how to perform a variety of exercises complete with the instructions, tips, and tricks needed to perform a full body workout. Each exercise for legs, core, and hip complex introduced offers deep glute activation and is geared toward building strength and enhancing the shape of your booty. Build a stronger and sexier lower body in the convenience of your home with the power of RubberBandit 12" mini-loop booty bands! You can access ebooks in your account. Simply log in to your account and navigate to the "My Downloadable Products". Anything you've purchased will show up there for download. If you're still having trouble, email us at [email protected] and we'll get you straightened out!